Combine folding and zentagle methods to create a beautiful, structured drawing. 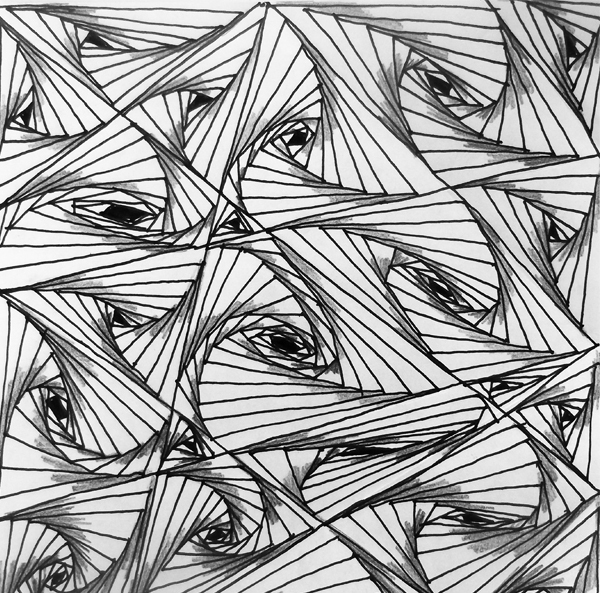 Zentangle is a technique which allow you to create impressive patterns by simply following and repeating the same motif. In this art activity we added some folds to create random straight lines. 1 . Start with a square piece of paper. Fold it, in a random point and press with you finger. Unfold the paper. You've just created a creased straight line. 2. Fold again in another point creating one more random straight line. 3. 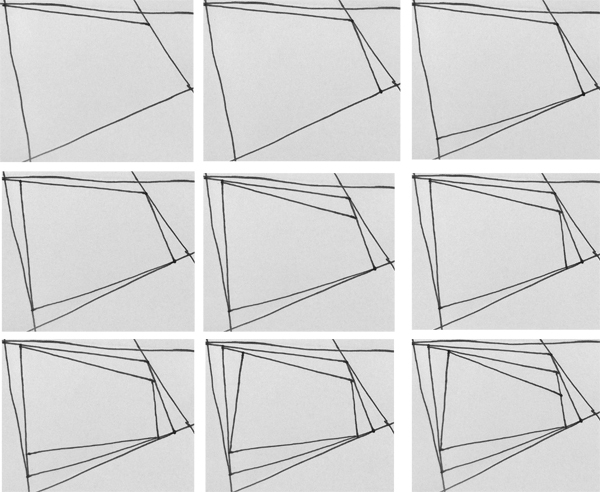 Continue in this manner, folding randomly until you fill the paper with creased lines. Take a pen and trace these lines. How to fill the shapes. Between the lines there are several shapes, normally triangles & polygons. 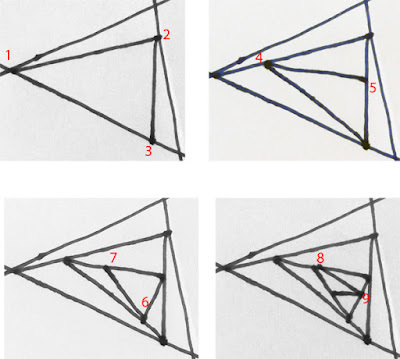 See how you can fill these shapes applying one of the most popular zentagle techniques. Start with a triangle which is easier to fill. Start from any point and draw a straight line, from the point to the opposite edge. Continue from the last point and draw another straight line to the opposite edge. 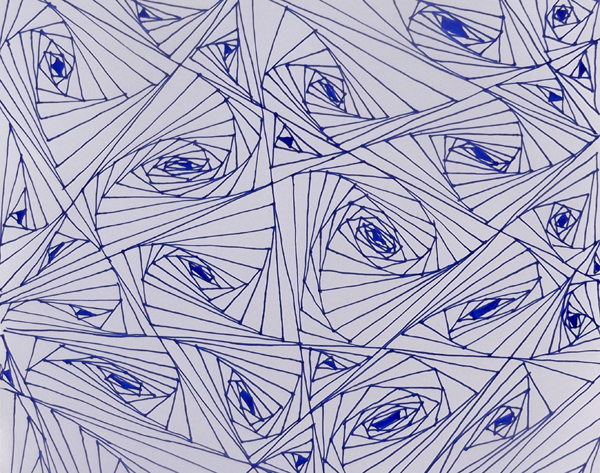 Draw more lines moving from the edges towards the center. See also how you can feel a polygon. Continue filling the shapes until you finish the whole area. The result is rather complicated. 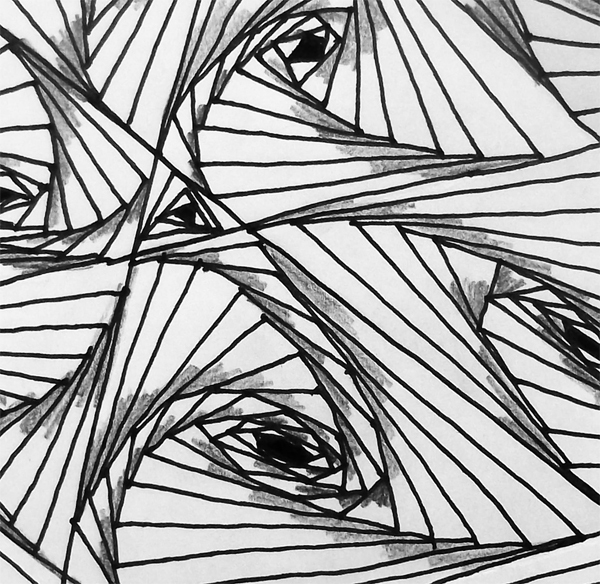 To highlight the whirl effect take a soft black pencil (3B) and add shadows inside the smaller triangles.